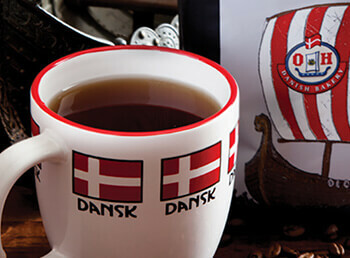 The best way to send Holiday cheer is to send Danish pastries far and near! Whether it is for someone who is one or ninety-two, our seasonal Kringle, Holiday Layer Cakes and other wonderfully delicious gifts are the perfect way to spread the magic of the season. Start up the fire, turn on the carols and celebrate with great friends, great family and great food. Danish Santa Ornament — $19.99 Add whimsical warmth to your Christmas tree. 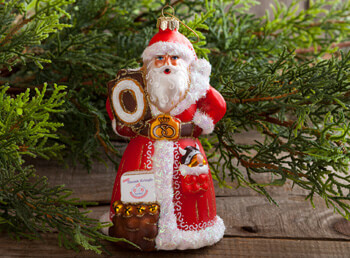 Custom designed by Margaret Cobane, this beautiful Danish Santa is perfect for any Kringle fan. Santa is holding his namesake and favorite treat, Kringle, with another in his bag of goodies. He carries a small surprise in his pocket for someone special. This glass ornament will sure bring joyful Kringle memories to your tree. Almond Custard Seven Sisters Coffee Cake — $23.99 Our Almond Custard Seven Sisters Coffee Cake has been a long-time favorite for over 60 years at our bakery. 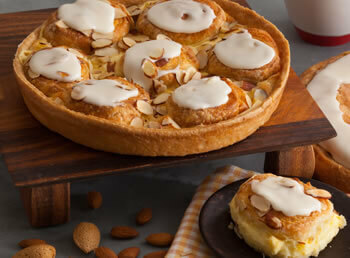 It is a classic Danish pastry, made with creamy almond filling, smooth custard, and then baked into seven spiraled rolls. This coffee cake is aptly named for a prominent constellation of stars that Danish sailors used for seafaring navigation. This winter constellation called the Seven Sisters of Pleiades helped delimit the sailing season and signal when to avoid stormy seas. We don't blame those sailors for wanting to stay home, particularly if this coffee cake was on the table! 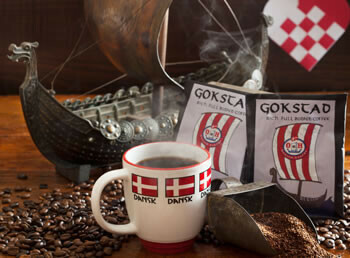 Dansk Coffee Mug — $19.99 Nothing goes together better than a slice of Kringle and a hot cup of coffee! 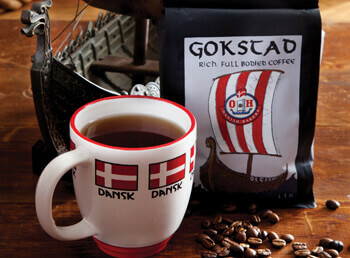 So if you are going to have a cup, then why not do it in (Danish) style!